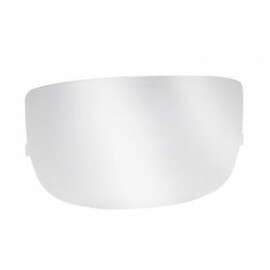 The 3M Speedglas FlexView 9002V welding helmet features a large 4.75 in x 3.6 in clear polycarbonate faceshield for precision weld prep under a variety of lighting conditions. User simply lifts up the spring-mounted filter assembly for weld prep. 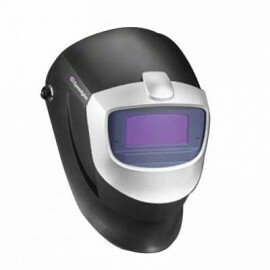 The FlexView welding helmet system spring holds the auto-darkening filter assembly securely on top of the helmet, giving the welder a big, clear view behind the faceshield. 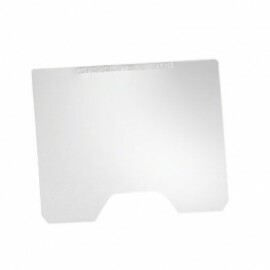 The clear faceshield allows for precision grinding and cleaning, the careful alignment of electrodes and the inspection of newly-completed welds, all with eye and face protection. 3M Speedglas Helmet 9000 has four aerodynamically-designed exhaust vents to help reduce "stuffiness." 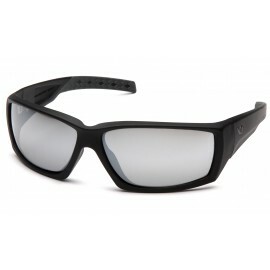 The 9002V filter has user-selectable shades (9, 10, 11, 12 and 13), sensitivity and delay settings. 9002V handles a wide range of arc welding methods, including extremely stable arcs like those from TIG inverters at low amp settings.